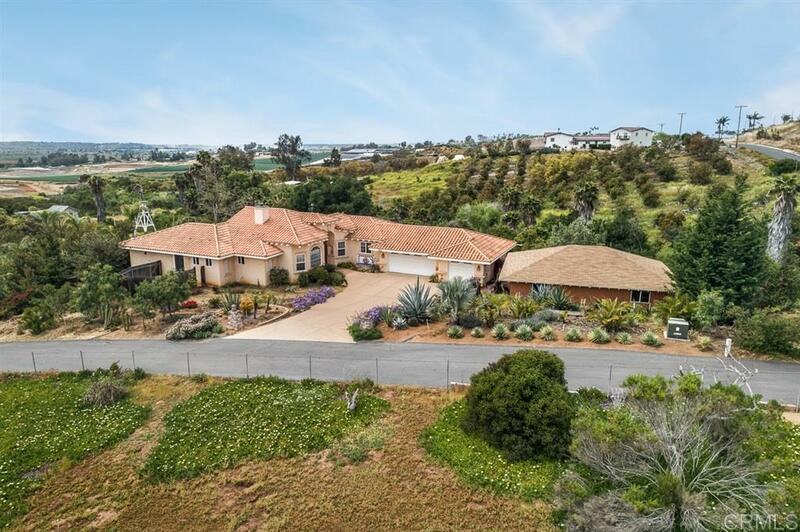 Situated on 3+ acres in the gently rolling hills of northeast Oceanside, this spotless custom home offers peaceful country living and is on the market for the first time. Constructed with quality materials and attention to detail, it features a secluded master suite, large picture windows placed for enjoyment of the expansive open views, custom wood and tile work, and a separate large barn with electric and water. Beautiful approach on a long driveway off of a rarely traveled street.